I have a bit of catching up to do, so thought I’d wrap up a bunch of gigs from this year so far. ﻿I was unable to make Fyfe’s Scala gig due to work commitments, so was pleased to discover this low-key warm up gig. 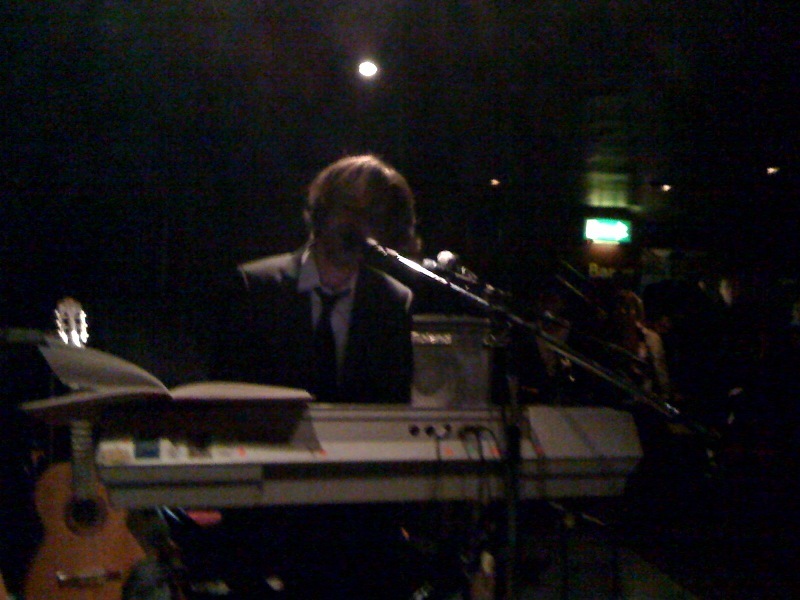 The Guillemots frontman was performing tracks from his new solo album ‘Fly Yellow Moon’, and the entire gig was a very stripped down affair, with a lot being played on acoustic guitar or piano only, although he occasionally ventured into loop pedal teritory, but only to provide a basic background beat. I haven’t had an ‘average’ week for gigs in ages. It’s either been very quiet (like the last few weeks), or jam packed like this upcoming week. Throw in a work Xmas party on Thurs, it’s shaping up to be a crazy week, but at least it’s not long til the holidays!! I was quite late to the party in discovering Modest Mouse, and so aside from part of their set at Glastonbury a few years ago, this will be my first proper chance to see them live. With a fairly recent EP release (‘No One’s First And You’re Next’), and an appearance at this weekend’s ATP festival, they’re playing a short UK tour. Very much looking forward to this one, I’m a big fan of the last 3 albums, and from what I’ve read I should check out the earlier ones too. I’m hoping for a good selection across the back catalogue, and will be very pleased if we get one of the longer tracks like ‘Spitting Venom’, ‘The Stars Are Projectors’ or the superb ‘The Whale Song’ from the new EP – check out the video below.